With the aim of providing the local drum community with a platform to share their passion and aptitude, Singapore Drum Fest has steadily earned a reputation as the premiere festival for drummers and percussion enthusiasts in Singapore. And since its inception in 2007, the admirable initiative has grown from just a single day occasion to an entire season of music events. This latest edition is their biggest to date, with four events between July and September 2016 alone! From gigs featuring legends (like the recent Louis Soliano showcase in July) to drum competitions, the most obvious highlight of their stacked programming is undoubtedly their start studded Ultimate Weekend concert. Celebrating the musicianship of the finest drummers from around the world in a single weekend, the massive event looks to gather only the best and most influential drummers of our time. 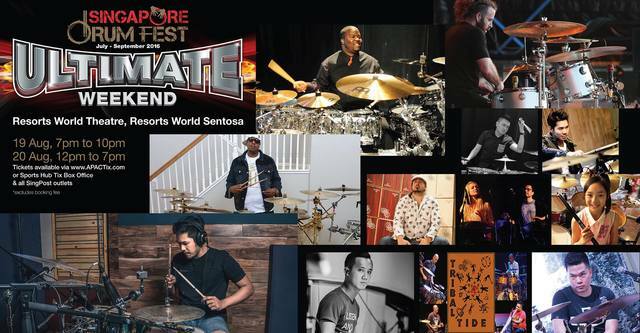 Spotlighting an accomplished line-up of guest drummers from America, Europe and Asia, this year's weekender, held at at the Resorts World Theatre, will surely be an inspirational treat for all those with a passion for percussion. Featuring names such as 13-year-old female Japanese drum prodigy Kanade Sato, acclaimed international jazz outfit John Ashley Thomas Trio, decorated drummer Chris Coleman (who has played for Chaka Khan, Prince and Stevie Wonder) and TAJ's very own local wunderkind Teo Jia Rong (among many others) - the Ultimate Weekend promises to be two exhilarating days of sheer musicianship and showmanship. Happening on the same weekend, Singapore Drum Fest will also be holding the grand finals of Drum Off Singapore 2016! The prestigious drum competition (formerly known as Drum Challenge) looks to find and refine Singapore’s next drumming legend by pitting the passion and skills of aspiring drummers in the presence of the who's who of Singapore's music industry. And best of all, the winner of this intense will actually go on to represent the country in Drum Off Asia 2018. Ultimate Weekend and the finals of Drum Off Singapore 2016 happens on Friday, 19 August & Saturday, 20 August at the Resorts World Theatre, Resorts World Sentosa. 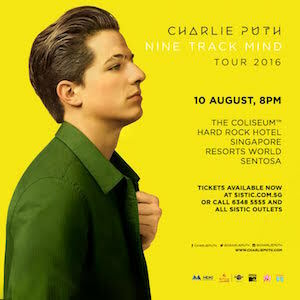 Tickets are $48 (19 Aug), $68 (20 Aug), or $98 (2-day access) – excluding $4 booking fee. Click here to purchase tickets and view the program schedule. Watch the drum performances from Chris Coleman and Eric Moore and Dave Elitch below.